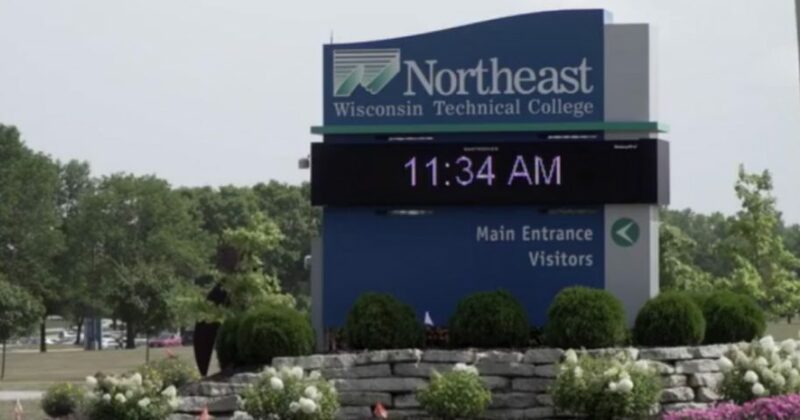 According to Campus Reform, Polly Olsen attempted to hand out a variety of handmade cards to fellow students on the Green Bay campus of Northeast Wisconsin Technical College. She said the tradition started with her mother. The cards were inscribed with messages including “Jesus loves you” and “You have a purpose,” along with scripture references. “Since my mother’s passing, I have carried on the tradition in her memory,” Olsen explained. Having suffered through her mother’s death, her brother’s serious injury and her own homelessness in recent years, Olsen described this event as a way to give something to others who might be going through a tough time. Olsen’s lawsuit claims that policy is unconstitutional. Do you think this policy is unconstitutional? According to the student behind the lawsuit, the area in which she would have been required to stand is “about the size of two buses next to each other” and is hardly a prime location for her intended outreach. She said people “just walk through” the area, which is not known as a place for students to gather. The entire experience has left her “hopeless and hurt,” she told Campus Reform. Prior to filing the lawsuit, Olsen said she tried unsuccessfully to arrange a hearing with officials. Smits noted that Olsen has been invited to participate in the ongoing review of an update to the public assembly policy.